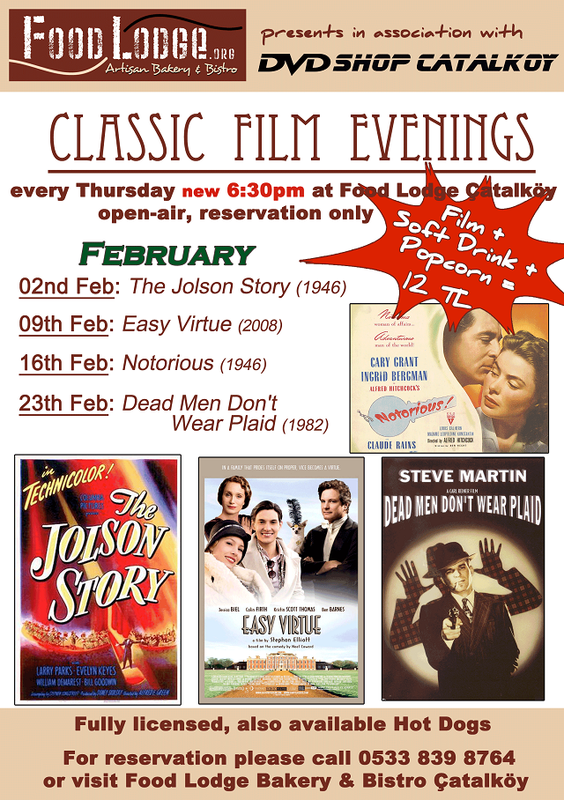 The Classic Film Evenings at The Food Lodge Bakery and Bistro in Catalköy continue and have become a regular popular event! Our TFR-members Sonja and Latifa just sent me the latest programme for February. Note: Starting time during winter is 6:30 pm, reservation only! This entry was posted in Entertainment and tagged Entertainment, Events, Events Calendar, Food Lodge, Friends Pages, German friends and tagged Entertainment, Girne, Kyrenia, North Cyprus, Northern Cyprus, The Foreign Residents in the TRNC. Bookmark the permalink.